Speaking in an interview in Lagos, Iheanacho said all it required was to replicate the action done in the diesel market, which brought about a sustained solution to scarcity crisis. “I have said it over and again. I think that what happened with the diesel market should be what we should aim to achieve with the PMS market. “If we deregulate the markets, then, there will be automatic price modulation, depending on the availability of products and the money chasing it. “When diesel was deregulated, people were skeptical, but now, it has stabilised and the price oscillates around a certain boundary; it doesn’t go too high and doesn’t fall too low, it just stays there. “I think if the same thing were done for the PMS market, we will see a lot of stability and government will realise a lot in revenue. Those revenues were lost years ago when we were paying huge amounts in subsidy,” Iheanacho noted. He argued that much as subsidy was meant for good purposes for the masses, it did not really get to poor in society, thereby, making the effort unprofitable. 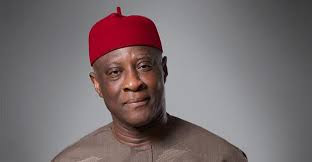 Iheanacho also advised that the lid on PMS importation be lifted, to allow anybody who has money to be able to import PMS, subject only to checks and balances of the quality of the product that comes in. “What will happen if that measure were taken? A lot of people who have money will put their money there and there will be a lot of product in the market. “The price will fall, and after some time, it will go back up a little bit and stay there,” he said. He appreciated government’s efforts in ensuring adequate supply of fuel, but noted that subsidy should be removed, as well as the licensing requirement for bringing in product for the market, to determine the selling price.